After my stay on Koh Samui, I took Cathay Pacific to get home to New York. The airlines six-seat first class cabin comes complete with gourmet food, top-shelf drinks, and over-the-top service. The carrier gives the word pampering a new meaning. Its first class service always ranks high on surveys that rank those kind of things. Royal Orchid was small, but it had premium liquor and a few delicious snacks, as well as free Wi-Fi with decent speed. Coral was better. It was more spacious, and had hot snacks. There were also foot massage chairs, though I opted for the free neck-and-shoulder massage. I didn’t have time to try the Lux, but I took a glance inside and I don’t think I missed much. They do have massage chairs though. From there I took the Dragon flight to Hong Kong. Seats were comfortable and lunch was pretty good. 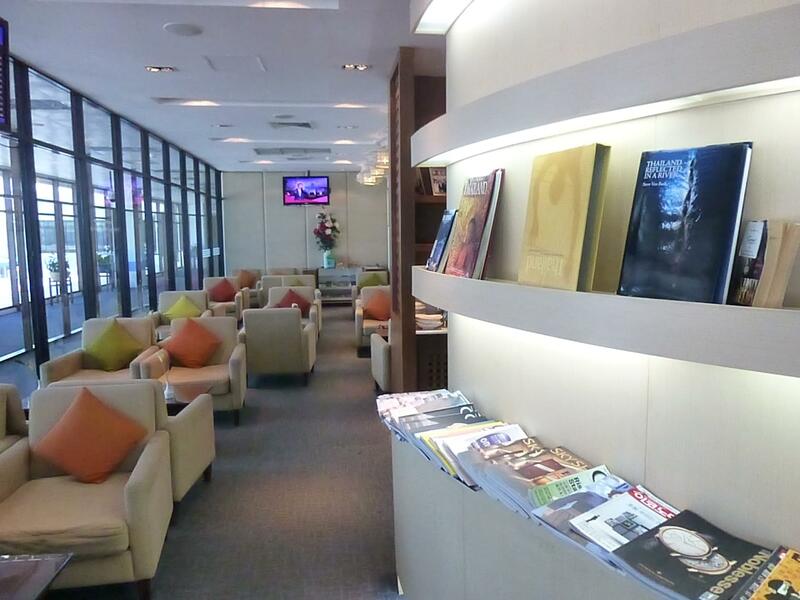 Then it was on to the Wings first class lounge at the airport, and what a lounge it was. It had private cabanas, each with a soaking bathtub, a shower, a daybed, and a work table. 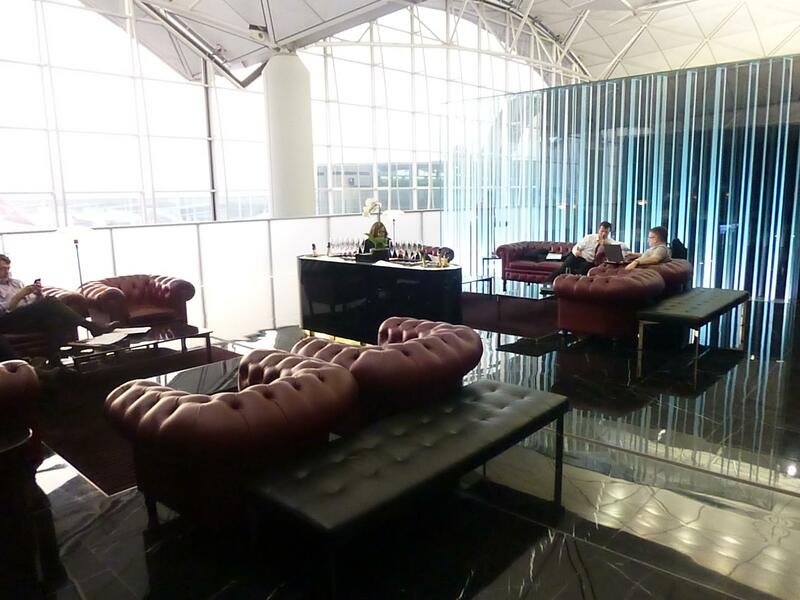 The lounge had a champagne bar, a regular bar, and a sit-down restaurant with cooked-to-order meals and a hot and cold buffet. If you get there at the right time, the sunset view over the tarmac is unforgettable. All that luxury comes at a price. 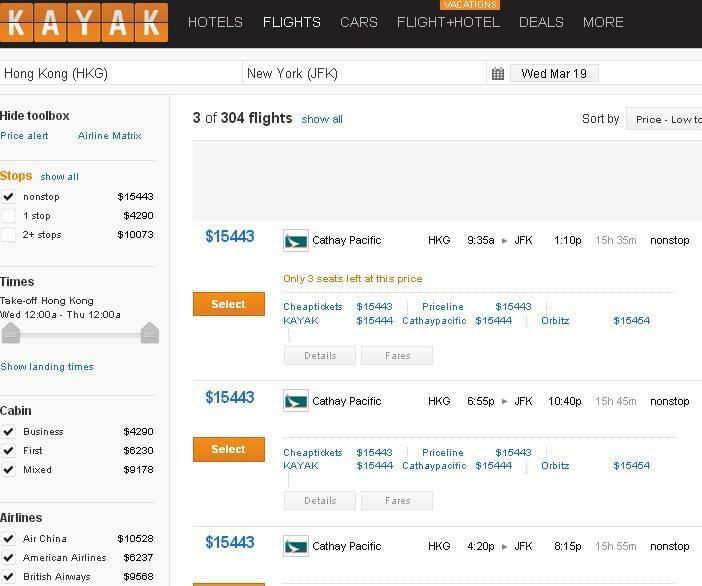 You would have to shell out as much as $15,000 for a 15-hour, one-way flight between Hong Kong and New York. But there is another way to pay for all this decadence. It cost me 67,500 American Airlines miles and $66.90 in taxes to get a seat in that cabin, and my flight didn’t end in New York. I was also booking half a trip to Mexico. The service on the Cathay flight was amazing and lived up to the hype. The first-class cabin has only nine seats, and just three of them were occupied. We were served by three flight attendants and a manager. So how did it compare to getting there? That was equally good. 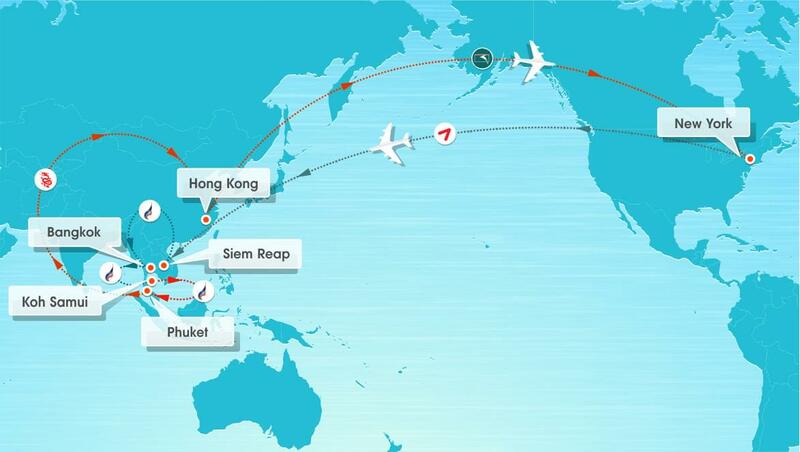 When I started this journey I flew from JFK to Seoul in an Asiana First Class Suite. Overall Product: Asiana wins. The sliding doors that provide an exceptional level of privacy were the tipping point. Service: Cathay is the clear winner. The pampering tipped the scales. But the best part of it all? Three credit card sign-up bonuses got me nearly enough miles to get there and back.